The only constant we can count on is change, and that definitely rings true for the defensive line of the 2017 Denver Broncos. 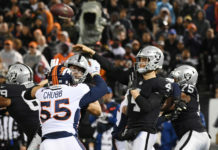 Aside from Derek Wolfe (the only name commodity along its defensive front), the team went into free-agency and the draft intent to shore up its weakest position group. 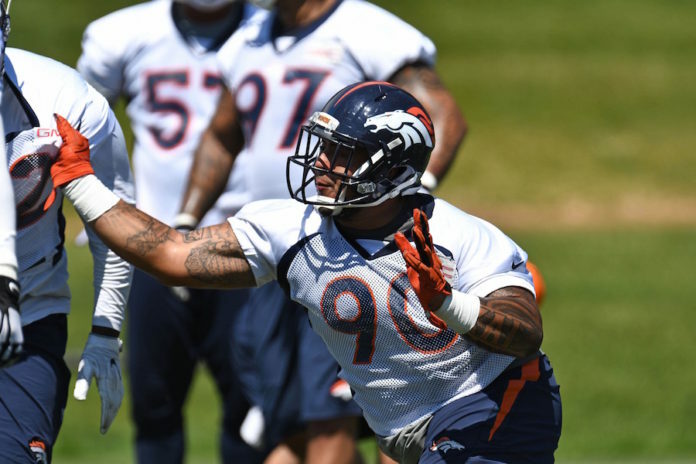 Entering 2017 with an emphasis on getting linemen up front who are also scheme-flexible, the team signed veterans Domata Peko and Zach Kerr with the hope they will help Denver improve on its 28th-ranked run defense from a year ago. In drafting of DeMarcus Walker in the second-round of this year’s draft, and the continuing maturation of 2016 draft pick, Adam Gotsis, the Broncos will have several linemen competing for what figures to be five or six spots. Entering training camp, three veteran defenders along the defensive line will be in a battle to make the team. Peko was one of the nicer stories coming out of camp last season, going from an undrafted rookie free agent out of Oregon State, to making the final roster on the last day of cut downs. Going back and forth between the practice squad and the main roster, Peko served as a backup primarily to since-departed nose tackle, Sylvester Williams. The former Beaver has a great motor and has some versatility that the Broncos like. Peko’s chances of making the roster took a hit when the team nabbed Kerr in free agency, as the ex-Colt has the versatility to play any of the three defensive spots in the base defense. 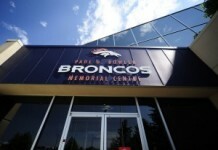 Depending on how many defensive linemen the Broncos are going to keep, Peko figures to be in a dog fight. A broken foot suffered during minicamp won’t help his situation. He’s still eligible for the practice squad, so don’t be surprised to see him wind up there. Crick drew much of the blame last season for the team’s inability to stop the run. It’s a bit unfair, seeing as the former Texan was brought in to help fill the pass-rush void left by the departure of Malik Jackson. But, the training camp injury to Vance Walker and the slower-than-expected development of Gotsis helped to push Crick into an expanded role. Unfortunately for the defensive end, the Broncos seem intent on getting Gotsis on the field as much as possible, with Gotsis probably manning the other defensive end spot, opposite of Derek Wolfe. The addition of Walker, who figures to see playing time on obvious passing downs, combined with Crick’s run-stopping shortcomings, place him squarely on the bubble going into this year’s camp. Winn was brought in at the end of camp last season to bolster the defensive line depth after the injury to Vance Walker and after Phil Taylor wasn’t healthy enough to stay on the field, dictating his release. Winn played in all 16 games last year and, while he may not possess one skill that stands out noticeably, he is a competent lineman who filled in admirably last year. Despite all the new faces the team added in the offseason, Winn showed enough last year to be re-signed by the team this past offseason on a veteran minimum deal. For as versatile as Winn was last year, the team has more bodies this year who have the same versatility that Winn does. It might be another uphill climb for Winn. He’s not a better run defender than Kerr or Domata Peko, and he can’t figure into the sub-packages with Gotsis, Walker and even Crick being better options. An NFL roster is a numbers game. The team is hoping upgrades who can play multiple spots will translate to an improvement from last season. It couldn’t hurt, as linebackers Todd Davis and Brandon Marshall were under siege for most of the season, regularly tackling ball-carriers four and five yards down the field. 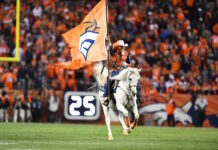 Now, with more options to choose from and continued improvement from some of the mainstays still on the roster, some familiar faces may be calling themselves ex-Broncos at some point before the season is ready to begin.